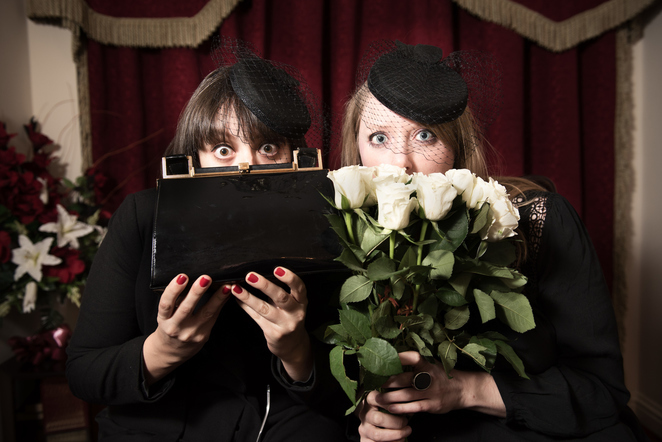 When actors Antonia Beck and Lucy Nicholls discovered a shared fear of death, they decided there was only one way to deal with the problem – create a production about it! And so The Death Show, premiered at Birmingham Repertory Theatre's The Door this week, was born. The hour-long production is a journey through the two women's attempts to understand and conquer their fears while also looking at society's complex attitude towards mortality. The Death Show begins with a funeral in which the audience is invited to join the mourning for Antonia and Lucy. As the service continues and the obituaries are read, the funeral becomes a competition between the two women to prove whose life was more meaningful. We learn that Antonia's acting abilities were so amazing her work was transmitted by NASA while Lucy's contribution to world peace is so mourned, she receives a text from the Dalai Lama. From this funeral setting the show, directed by Berrnadette Russell, branches out to reflect a host of research undertaken by the two women who spent time with celebrants, hospice patients and undertakers to create their stories. At times, The Death Show is laugh-out-loud funny – particularly as Lucy and Antonia attempt to face their fear of mortality through weird and wacky workshops which see them involved in 'punching death in the face' and being 'reborn through a portal to death'. Needless to say, neither work. But the production is also incredibly poignant as the two women discuss working with undertakers to dress a body and they share their respect for the people who show such love and dedication to a task which so many of us would shy away from. There's also plenty of material to give us food for thought as the actors explore what happens to a body after death, how death is portrayed in film and the reluctance with which we approach discussions around the end of life. Ultimately, the two women discover that the best way to overcome the fear of death is to enjoy life and live it to the full. And so glorification from NASA and the Dalai Lama are left behind for real moments that matter – an afternoon of friendship, a day out, a drink with someone special. 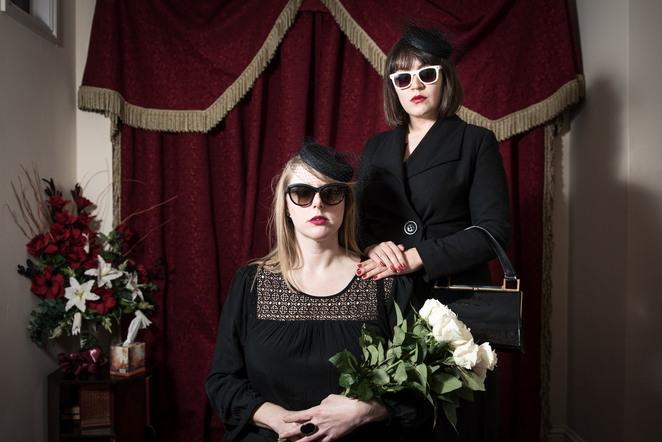 The Death Show takes an important subject – how we face the end of life and how we face life itself – and shakes it up with a host of short scenes all aiming to encourage the audience to re-think their own attitudes. And despite the fact it may at first seem like a depressing subject, The Death Show is both fun and life-affirming.